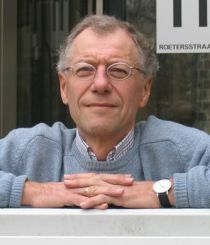 Joop Hartog (1946) is professor of economics at the University of Amsterdam, since 1981. He got his economics education at the Netherlands School of Economics (now Erasmus University Rotterdam) and at Queens University in Kingston, Canada. He started his professional career at Erasmus University, where he also got his PhD. He is specialised in labour economics, and he published, alone or with co-authors, some ten books, about a hundred articles in international journals and over a hundred contributions to books and journals in Dutch. He co-founded the journal Labour Economics and for almost 15 years wrote columns for Dutch newspapers. He was a member of several government advisory committees, including the Council of Economic Advisors. He held visiting positions in many places, including Stanford, the World Bank, Peking University and Harvard. In 2001, he was appointed as a member of the Royal Dutch Academy of Sciences KNAW. Joop Hartog joined CReAM as an external fellow in December 2010.